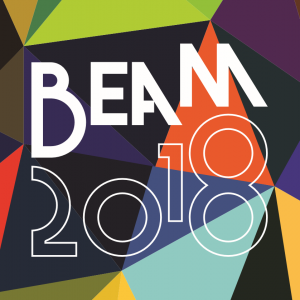 Richard Meek and Alice Fearn did a fantastic job for us performing at BEAM2018, playing Jason and Tanya Turner, in a first ‘sharing’ of an extract from Footballers’ Wives – The Musical. There were over 50 different musical projects being presented as part of this two day showcase – a real demonstration of the breadth and depth of new musical theatre writing in the UK. It was brilliant to be involved and good things are already coming from it, so it looks like we’d better crack on with writing the rest of the show!